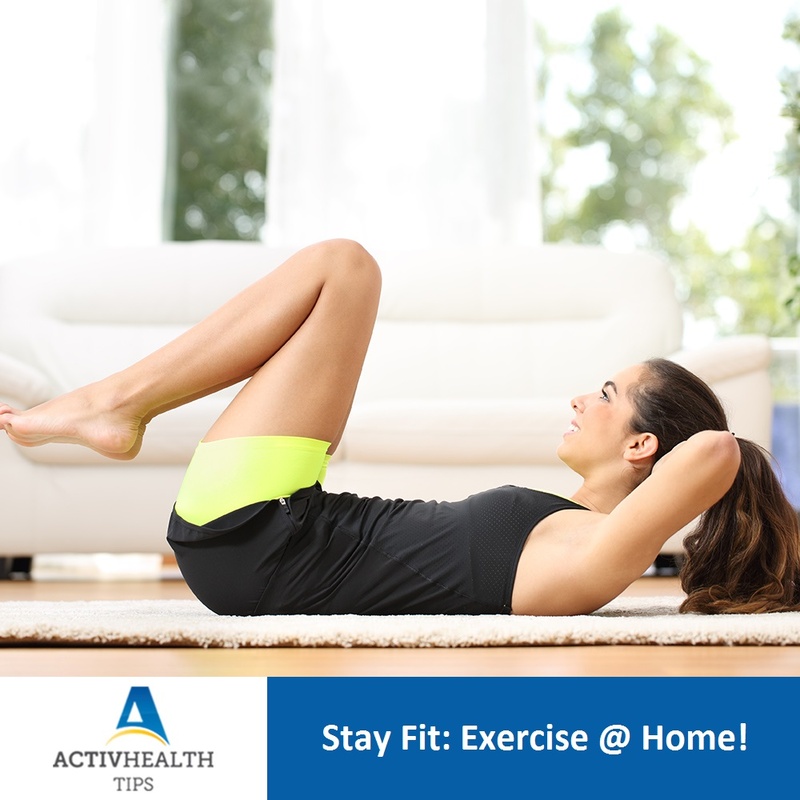 Stay Fit: Exercise @ Home! You can save on the travelling time to the gym. Save money spent on an expensive gym membership. Inconvenient hold up time in a gym to get exercise equipments if the gym is crowded. Less distraction due to time consuming conversations with peer groups in the gym. Exercise is a must in one’s life. Regular exercise is essential whether you want to lose weight, strengthen the bones, improve your mood or to lead an active life. Exercise does not mean you need to step out of the house, spend money on gym and workout hard. One can exercise at home as well, exercising at home is as effective as doing work outs at the gym. Everyone runs short of time – You can save the travelling time to the gym. Everyone wants to save money!! – Saves money spent on an expensive gym membership. No crowd, no wasting time – Saves inconvenient hold up time in a gym to get exercise equipments, if the gym is crowded. No distraction, more workouts – Avoids distraction due to time consuming conversations with peer groups in the gym. Doing exercise at home has bunch of benefits, but there are certain things to be considered before you start exercising at home. Concentrate on safety measures at home. Here are few exercises which can be done at home. Strength training workouts: It is recommended to do at least 2 days of muscle strengthening exercises which builds and tones up the muscles. It can be done using dumbbells and resistance bands. Chest presses, overhead presses, biceps curls, triceps extension are other few to mention. Push-ups, lunges, planks, squats and planks can also be done using the body weight. Circuit training workouts: Doing a set of push ups followed by lunges provides both cardiovascular and muscle strengthening benefits. You can also combine jumping rope, crunches and a set of chest presses. Flexibility exercises: Doing basic Yoga poses after workout strengthens both your mind and body. It also improves the flexibility of your body. Exercise is the way of working out to keep you healthy and fit. Keep yourself motivated, stay inspired, set realistic goals and reward yourself with healthy incentives time to time. TRAFFIC – HEALTH HAZARDS & TIPS TO DE-STRESS!